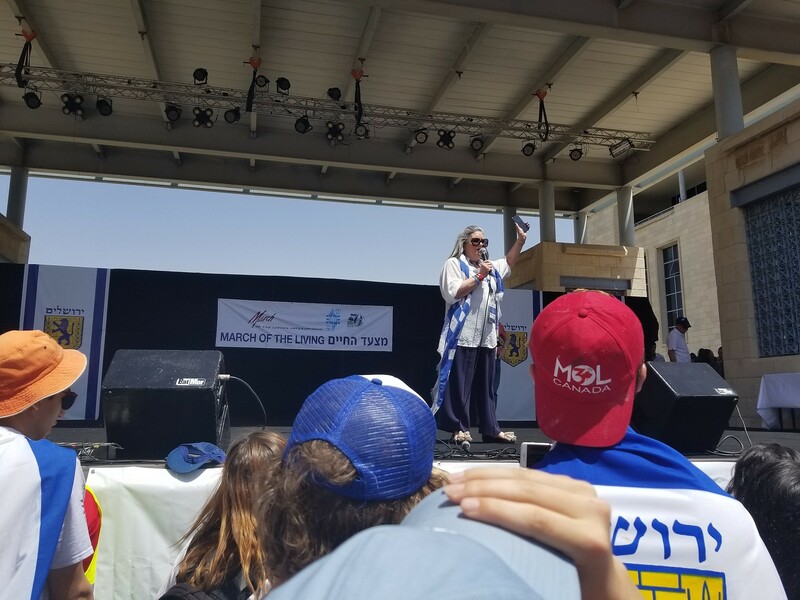 April, 2018 marked my second opportunity to staff the March of the Living trip for Mid Atlantic Region of the United States as a representative of StandWithUs. 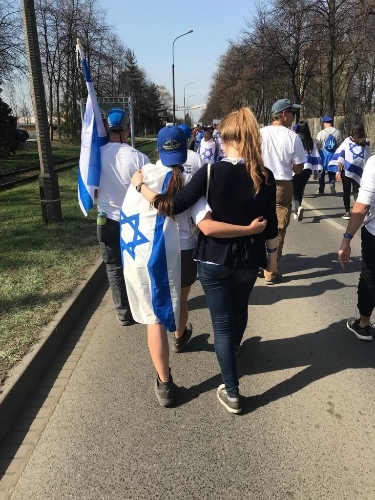 The March brings thousands of Jewish teenagers and Holocaust survivors from around the world and Israel, which culminates with a silent march in Poland between Auschwitz I and Auschwitz II/Birkenau, to commemorate Holocaust Remembrance Day, which this year fell on April 11, 2018. 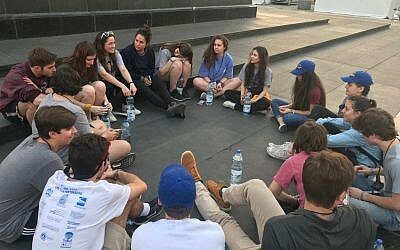 Here I am leading a discussion for our Mid Atlantic March teen participants outside the Jewish Museum in Warsaw, Poland. Copyright Rayna Rose Exelbierd. 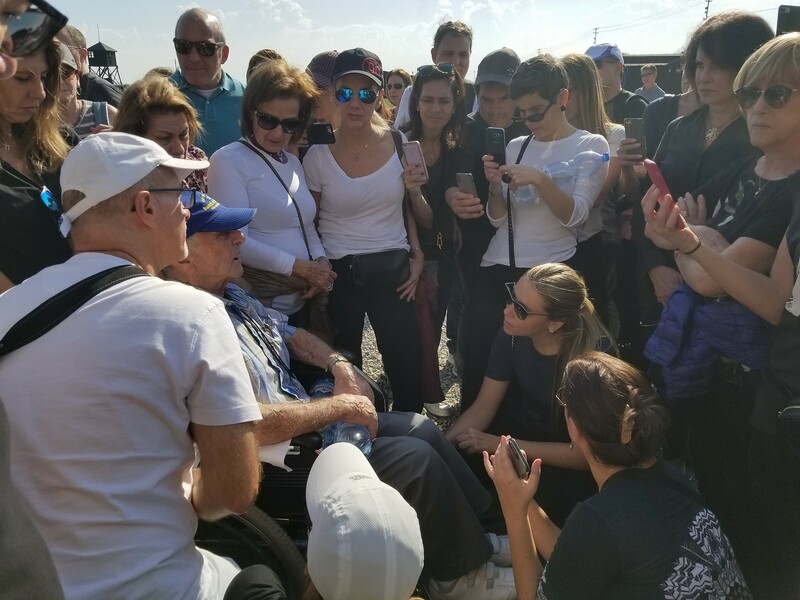 After a week of visiting concentration camps, and destroyed Jewish communities, the participants travel to Israel for an experiential education adventure. On Israel Independence Day (April 18, 2018), they march to the Western Wall in Jerusalem singing and dancing and displaying flags from around the world. The Mid-Atlantic Region I was staffing comprised of two buses, each with 18 students from North Carolina, South Carolina, and Virginia. It is led by Rabbi Fred Gutman of Temple Emanuel in Greensboro, North Carolina. 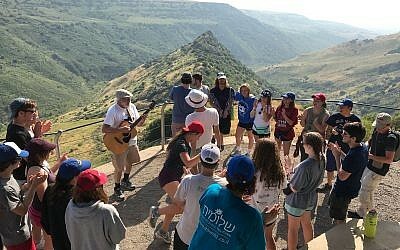 The Mid Atlantic March of the Living teens and I dancing together in Israel. Copyright Rayna Rose ExelibIerd. This was my third visit to Poland, but the first time I ever experienced Poland in the heat. As I began my journey I felt guilty for wearing shorts and dresses. When one is suffering through the extreme cold while learning about the atrocities committed by the Nazis it raises various emotions and questions, such as, “Can I complain about being cold, when millions suffered in this very place?” Similarly, can I complain about the Kosher catered food in Poland, when millions starved?” I realized in Majdanek that not every day during the Holocaust was freezing cold and with snow on the ground. People were mass-murdered rain or shine. I think this is a metaphor we can apply to our own lives. Sometimes bad things will happen on the most beautiful of days, and sometimes the most meaningful moments happen in horrible places. A young child learning to ride his bike in the death camp Majdanek. Copyright Rayna Rose Exelbierd. At Majdanek I was stunned to see a little Polish child learning to ride his bike at a death camp where thousands of Jews were murdered. Because of the speedy Soviet advance at the end of WW2 the Nazis did not have time to destroy the gas chambers, barracks, and overall infrastructure. As a result, visitors can see how this camp could very easily become a death factory once again. At this place of unimaginable horror, I had an extremely meaningful moment with our Holocaust survivor Hank Brodt. 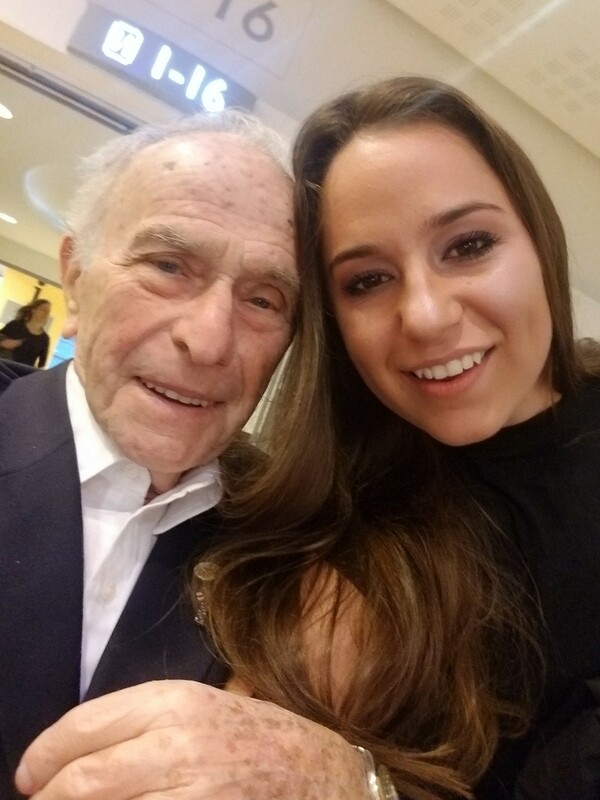 Selfie of Holocaust Survivor Hank Brodt and me in Warsaw, Poland. Copyright Rayna Rose Exelbierd. Hank survived five concentration camps and is 92 years old. He was on the March of the Living last year, and has participated in other Marches. Hank is the biggest optimist, has an even larger heart, and loves to sing and dance. His life experiences and spirit enhanced every single moment of our trip. Survivor Hank and I holding hands outside a gas chamber at the Majdanek death camp. Copyright Rayna Rose Exelbierd. 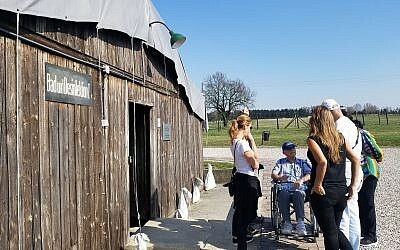 Hank speaking with a few of our new friends outside of a gas chamber at Majdanek. Copyright Rayna Rose Exelbierd. As I listened to his words, I hugged him and explained my grandparents who survived the Holocaust passed when I was very young. I shared how much I appreciated him answering questions, and how his Polish songs reminded me of my grandpa. I promised him I would never stop staffing the March of the Living and sharing the stories of the Holocaust, just as a few women walked by us. I told them Hank’s story. Hank’s group of listeners began to grow. Copyright Rayna Rose Exelbierd. As they began to listen, some of their friends came, until over 50 South Americans were surrounding Hank. They took pictures, videos, and clung to every detail as they wiped their eyes. Initially I felt guilty for not going into the gas chamber site, but this moment with Hank was so moving for us both as time stood still. As our new friends walked away, I told him that was a sign he must continue telling the story so others like the South Americans and me can educate others. As Hank shared his story, more and more new friends came to listen to his experiences. He spoke outside of a gas chamber at Majdanek. Copyright Rayna Rose Exelbierd. Along my journey, I had the opportunity to educate and learn from participants on the trip and meet some extraordinary people. It was an honor to meet Theresa and have her join our March of the Living group. Hugging Polish teens before the March in Poland. Copyright Rayna Rose Exelbierd. Christian children and adults lined the streets as we began our journey from Auschwitz I to Birkenau. It was meaningful to hug, sing, and accept their gifts of forgiveness, love and acceptance. 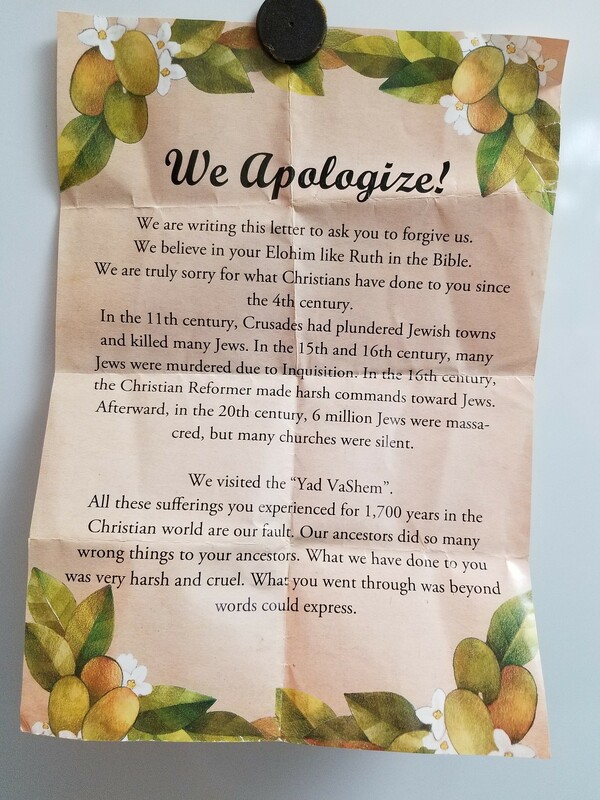 Christian letters of forgiveness distributed to March participants outside of Auschwitz. Copyright Rayna Rose Exelbierd. 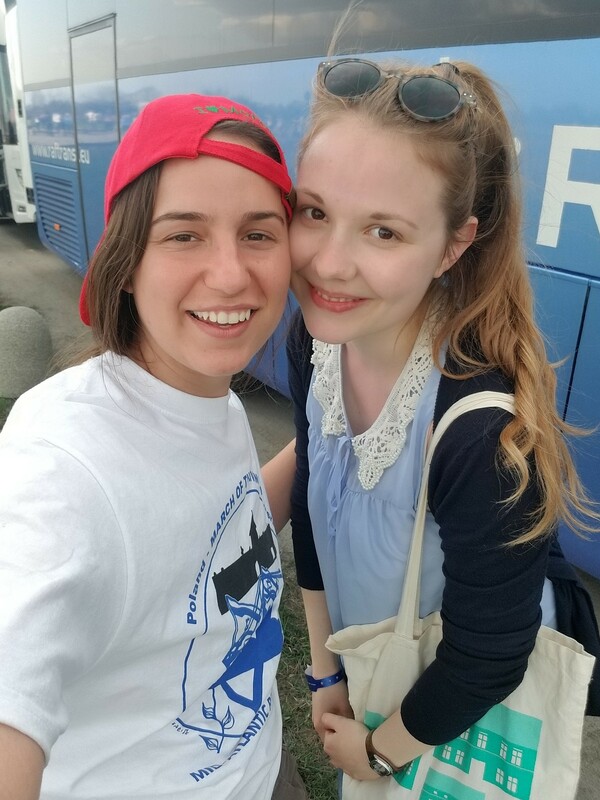 It brought me joy to meet some Polish teenagers and gift younger children my StandWithUs sunglasses. My emotions were so strong, they propelled my feet along the 1.5 mile journey. 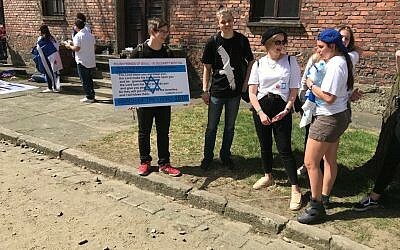 Along the March, I stopped to gift these young Polish children my StandWithUs sunglasses and exchange high fives. Copyright Rayna Rose Exelbierd. A Polish man yelled insults and curses at our group as we learned about the last remaining Ghetto wall in Warsaw. This man taught me there are some people in the world who are against others reconnecting with the past. This is ironic, considering that he chose to live in an apartment with a courtyard containing a horrific history. Some people will deny facts and history, even if it’s literally in their backyard. A man yelled insults at our March group, and then ran out of his apartment to scream at us some more. Here is our security guard controlling the situation. Copyright Rayna Rose Exelbierd. 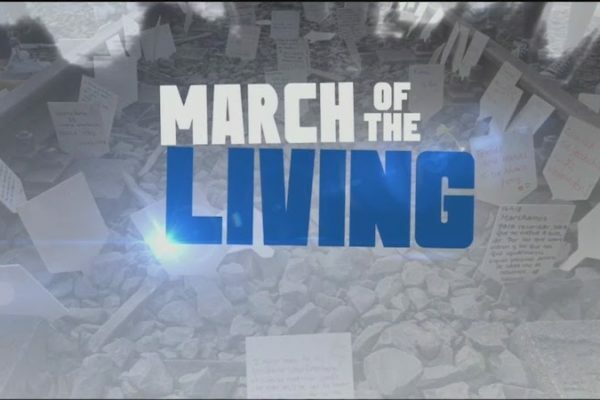 The International President of March of the Living, addressing thousands of March participants in Jerusalem. Copyright Rayna Rose Exelbierd. In Jerusalem, Phyllis Greenberg Heideman, International President of March Of The Living, addressed our group. She mentioned how hard it is to conceptualize the six million lives who were lost in the Shoah, (the Holocaust). She challenged us instead to think of one person six million times throughout your lifetime. In blessed memory, I will think of my grandfather and father, Joseph and Allen Exelbierd. 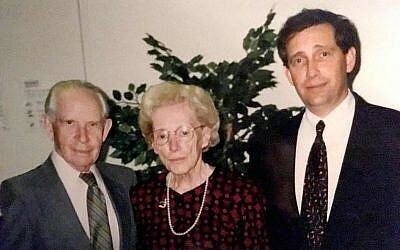 Pictured from the left: My grandfather, Holocaust Survivor Joseph Exelbierd, Righteous Gentile Marion Pritchard, and my father Allen Exelbierd. Marion saved 150 Jews, mostly children during WW2 from Nazi occupied parts of the Netherlands. Copyright Rayna Rose Exelbierd. 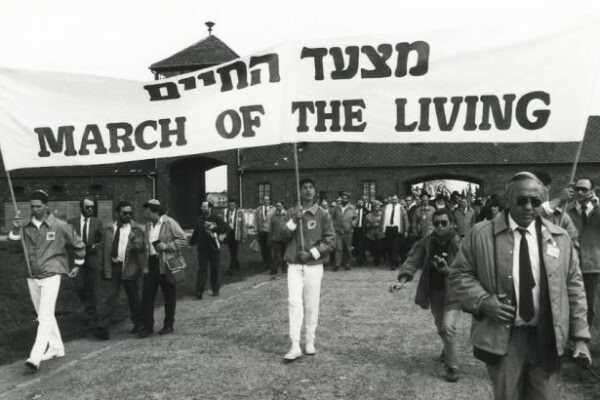 Shortly after the March, I suddenly lost my Dad, Allen, a son of Holocaust survivors from Tarnopol, Poland. My father was a living example of how to treat others with kindness. He was committed to Holocaust education and taking care of survivors. 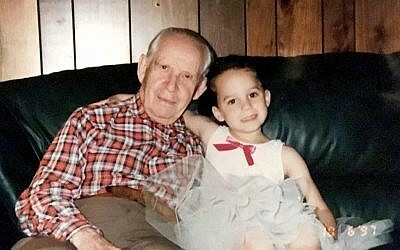 My grandfather Joseph Exelbierd and me. In 1963, my Poppy helped organize the first ever Holocaust Memorial service in Memphis, Tennessee. Copyright Rayna Rose Exelbierd. In honor of my grandparents and Daddyo, I want to challenge others to think about the survivors, and more importantly than remembering, to take action. 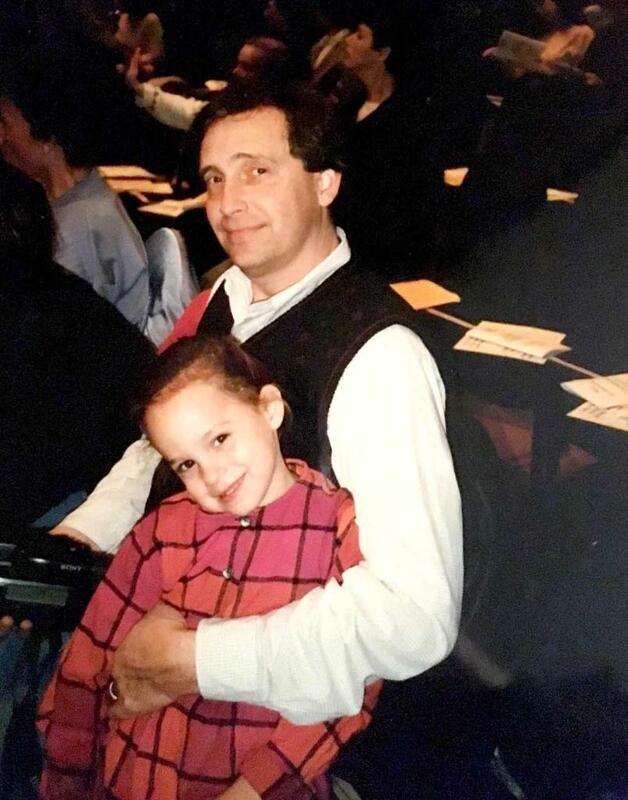 My Daddyo and I pictured at the Memphis Jewish Community Center in 1996. In 1999, he was appointed by the Governor to the Tennessee State Holocaust Commission. He served on the Memphis Yom Hashoah (Hebrew for Holocaust Remembrance Day) Committee for over 30 years. Copyright Rayna Rose Exelbierd. 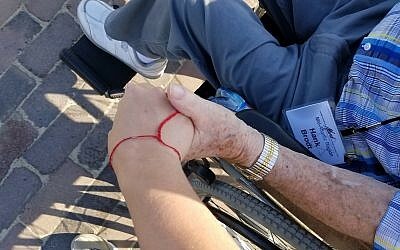 Honor and interact with the last Holocaust survivors who still bless us with their presence and create opportunities for their stories to be shared. We do not have to wait for Holocaust Remembrance Day to organize events for those Survivors who are strong and still willing to share their stories. Many primary schools and colleges would love the opportunity to hear from the last witnesses of WW2. 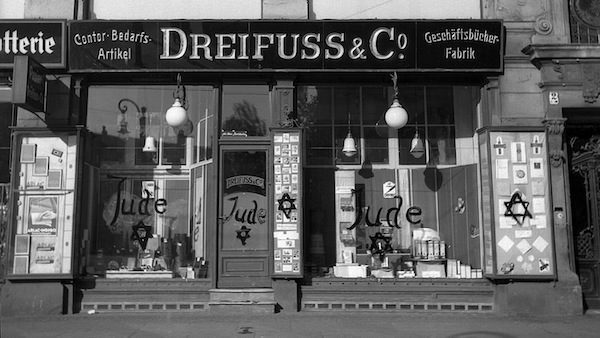 In honor of my Dad and the Survivors, go out of your way this year to learn something new about the Holocaust. Even if it’s just watching a documentary on Netflix. This November 9-12, I will be attending the 30th Annual Convention of The World Federation of Jewish Child Survivors of the Holocaust and Descendants happening in Palm Beach, Florida. Please share this opportunity with other Holocaust Survivors and their descendants. 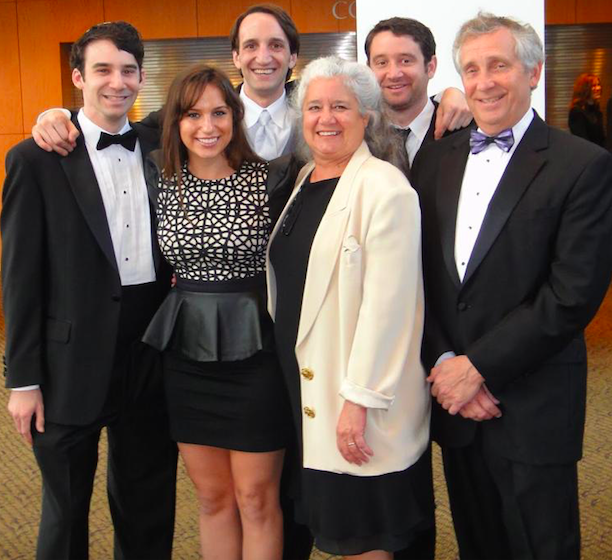 I choose to be inspired by how my Father and the other survivors lived. Continuing his legacy gives me strength to continue educating and inspiring others. If you are blessed to have both of your parents, no matter how old you are, hug them extra tight. My father was proud of my commitment to staffing this important journey for teens. He died knowing my desire to staff an annual March of the Living trip. Next year, no matter how hot or cold the trek, my March will take on many meanings. 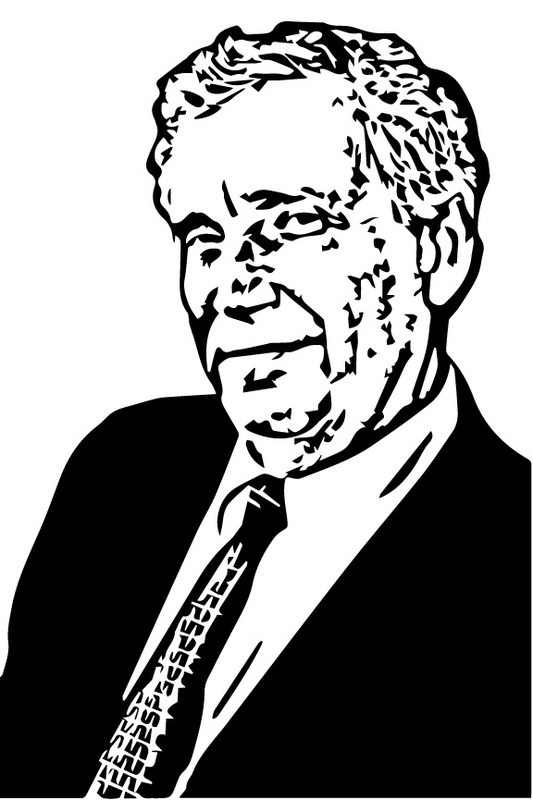 Allan Exelbierd illustrated by my older brother and artist Adam Exelbierd. Copyright Rayna Rose Exelbierd. Rayna Rose Exelbierd, granddaughter of Holocaust survivors was born and raised in Memphis, Tennessee. After graduating high school she spent a year in Israel. She then moved to South Florida to study International Business at Florida Atlantic University. During her undergraduate studies Rayna became a victim of the pernicious campaign against Israel that permeates many college campuses around the world. She overcame those challenges and that led Rayna to become proactive in educating other students about Israel. 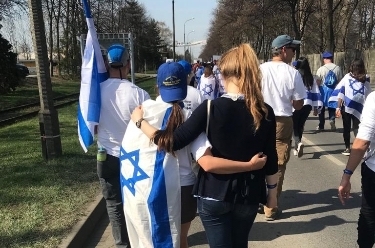 Upon graduating, her passion became her full time career as the Southeast High School Director for StandWithUs, an international Israel education organization. In this role she has mentored hundreds of students and has reached thousands of others. Rayna’s love for Israel is what defines her both professionally and personally.